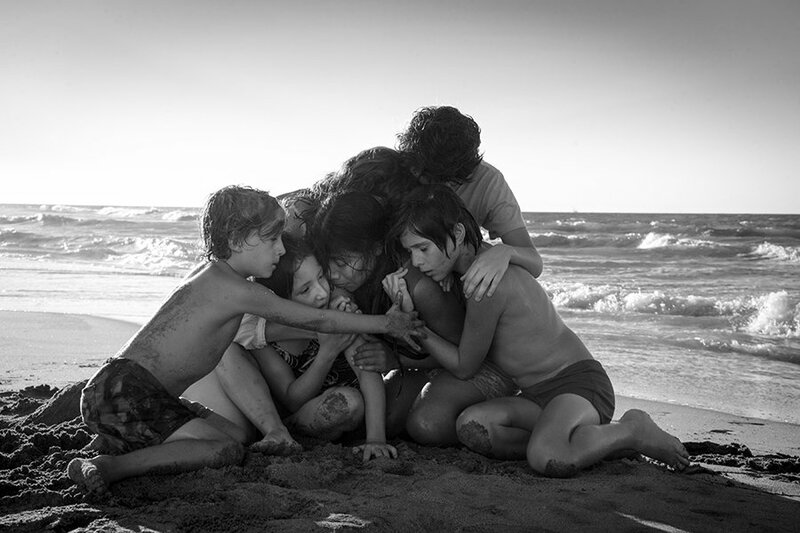 A still from Netflix’s “Roma,” written and directed by Alfonso Cuarón. To me, awards season is like Christmas. Every year on Oscars nominations day, I excitedly wake up in the morning as the temperature slowly descends to zero degrees, make myself some hot cocoa and patiently stream the event live as I refresh my Twitter feed every two seconds (just as I would on Christmas Day to catch up on the latest round of gift-giving my friends have gone through). Everyone who knows me well is not the least surprised by this. But this year’s nominations left me more dumbfounded than any other in recent memory; not because of the multiple snubs of young, male heartthrobs in the acting categories (re: Michael B. Jordan and Timothée Chalamet), but because the Academy, once criticized for its lack of diversity and empathy for stories its members could not relate to, now appears to be the only major moving force in the U.S. to recognize filmmakers who are bold, visionary and — oh — non-American. As Los Angeles dawned on the 32nd day of a federal government shutdown Tuesday, one needlessly perpetuated over a promise to create physical walls and cultural divides, Kumail Nanjiani and Tracee Ellis Ross announced the nominees for the 91st Academy Awards. “Roma,” a semi-autobiographical drama set in Mexico City, and “The Favourite,” an 18th century period dramedy, broke ground with 10 nods each. What makes these films special is that foreigners — immigrants, if you must — hold key production roles both on- and off-screen and will likely dominate the talk shows leading up to Feb. 24. Alfonso Cuarón is definitely the genius to be celebrated in this year’s ceremony, as he made history yet again by scoring directing and cinematography nods for the same film (along with three more for writing and producing). But Cuarón, whose previous film was the universally acclaimed “Gravity” (released a whole five years ago) is known for taking long breaks between his films to cater to their most nuanced details — which is exactly what makes “Roma” such a passion project. Cuarón is literally pulling from his roots to shape a deeply personal narrative, one that engrosses audiences no matter their background. Yalitza Aparicio, the film’s star who’s been nominated for her acting debut in one of the year’s busiest categories, has repeatedly said she’s drawn from her own experiences to prepare for the role. “The Favourite” parallels “Roma” in some of its production values. Yorgos Lanthimos, possibly Greece’s most popular filmmaker to international audiences, received his first directing nomination after years of experience outside the U.S. Same goes for film editor Yorgos Mavropsaridis. And while I’m definitely one to usually call out the Academy over the crushed hopes of the masses (i.e. Bradley Cooper), we should take these opportunities to recognize talents who are as deserving of the spotlight. In any case, the Academy’s efforts to bring in a more filmmakers from across the globe into its ranks is definitely evident — and now we’ll have to see if these visionaries take the stage at the Dolby Theatre next month.